As the 2016 market begins to pick up pace I wanted to make sure I got out my list of favorite homes for 2015. Last year was a fast paced year with 379 residential sales on the island, 469 including condos. The inventory we all hoped would show up last year simply did not. And, as you will see below, many of these homes saw multiple offers and price escalations. That trend has continued as we move further into 2016. And time will tell if the needed inventory ever shows up for 2016. As of today we have a mere 62 homes for sale on the island. In the meantime, enjoy the list below, it is my 8th annual list. To see all of my lists going back to 2008 click here. Click here for more photos and a full listing detail. For #10 we start just north of Winslow in the popular North Town Woods Neighborhood. North Town Loop in North Town Woods sits next to two schools, Sakai Intermediate and Woodward Middle School and is an easy walk to Ordway Elementary and Bainbridge High School. The location is wildly popular for its convenience and since the entire neighborhood is made up of charming Craftsman homes, it is aesthetically appealing to many. This home, in particular, has one of the best floor plans in the neighborhood. The downstairs has a nice open feel and it has a detached garage with a Mother in-Law Suite – perfect for guests or a home office. The feel of the entire home is light and bright and modern, with a whimsical edge. It spoke to many and saw multiple offers in the busy summer market. For #9 we head south down to Pleasant Beach Drive. This modern rambler sits across the street from waterfront homes and has easy deeded beach access at Lytle Beach. The home is not huge at 1,490 sq ft, but has three bedrooms and an open floor plan. The updates were smart and functional and the location on Pleasant Beach is a smart one to invest in. This home saw a wild escalation with multiple offers and closed for almost $200,000 over the asking price. Yes, $179,000 to be exact – not a typo. For #8 we head back to Winslow, in the desirable core area, south of High School Road on Horizon View Place. This rare new construction home built by custom home builder Jefferson Fine Home Builders was a welcome sight to see for many home shoppers who had not seen new construction in town for quite some time. With a modern farmhouse feel, all on one level, the home is light and bright with stunning southwest exposure that overlooks Rotary Park. 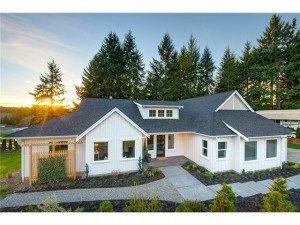 Walkable to town and amenities, I was happy to help my buyers purchase this lovely brand new home. For #7 we swing back down to the extreme south end of the island to the historic Fort Ward Neighborhood. This home sits proudly on the corner of Fort Ward and Evergreen Avenue. It is always a fun one to drive by. It is one of the few historic military buildings remaining of the seacoast fort on the Parade Grounds at Fort Ward. 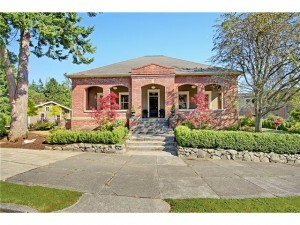 Originally a prison during WWII, the building was carefully renovated by builder Jefferson Fine Home Builders. Close to sunny South Beach, and part of a home owner’s association that shares a private beach, this home is a unique package on the south end. 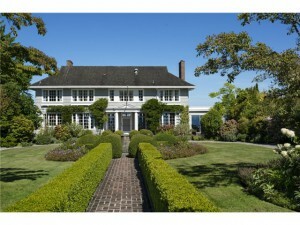 Truly, one of my all time favorite homes on the island. For #6 we head north to Hidden Cove Road. This is also a house I was always enchanted by when I drove past. The modern style and the unique silo certainly catch your eye. 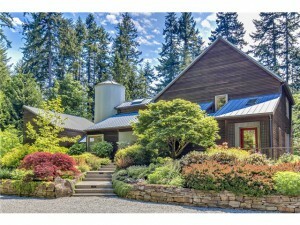 The home sits on an enchanting 4.5 acres and has gloriously groomed landscaping. The combination of a modern, unique home on a large, flat, landscaped lot intrigued several buyers and this not-so-big house (2,700 sq ft) went for a nice price at $1,100.000. For #5 we head back down to the south end of the island to Point White Drive. This home sits high atop the bluff of Point White and has some of the most dramatic views of Rich Passage I have ever seen in my almost ten years on the island. The sun exposure of this southwest facing home turns the water below to a luminous shade of blue. The blue water against the sleek, red Madrona trees are a magical sight to see. This charming home has unique lines and cozy interior spaces. The outdoor spaces are thoughtful and diverse too. Several amazing options for indoor and outdoor entertaining. A special home that took some time to get to the right price, but at $1,300,000 I think it was a solid investment for the lucky buyer. For #4 we head north and west to Henderson Drive. The Henderson area saw a lot of activity last year and for good reason. The stunning western sun exposure and views let you enjoy the impressive sunsets behind the Olympics. 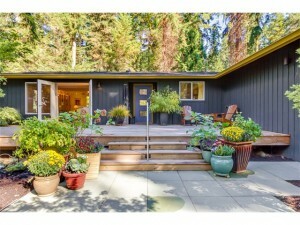 This 1963 home was fully renovated into a fantastic modern dwelling on 1.4 sunny, open acres. The rare package, that included a fantastic master suite and studio attracted several buyers and this home sold over asking with multiple offers. For #3 we head south again to the Rockaway Bluff Neighborhood. This home on Boulder Place was a visual delight. A newer, custom home built in 2007, the owners did not ignore any detail during construction. Fine craftsmanship and thoughtful details can be found in every corner of this home. 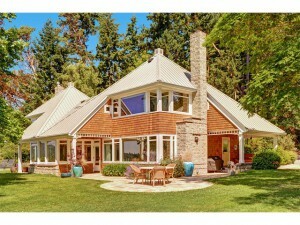 The manicured 3.5 acres surround the home and make it a private, peaceful retreat. It did not hurt any that the home owner has an amazing design eye, so the home furnishings were stunning and perfect for the spaces. 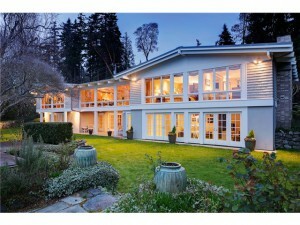 This package also caught the attention of many buyers and sold over asking price last summer. For #2 we stay on the south end and return to sunny Pleasant Beach Drive. This mid-century modern waterfront stunner stole the hearts of many. A solid home built in 1958, this home has been loving cared for and has an amazing executive office with drop-dead water views. The outdoor patio spaces called out to entertainers and the practical floor plan and four bedrooms appealed to many lifestyles. This home also saw multiple offers and a steep escalation in price. Another reason Pleasant Beach is known as the Gold Coast. 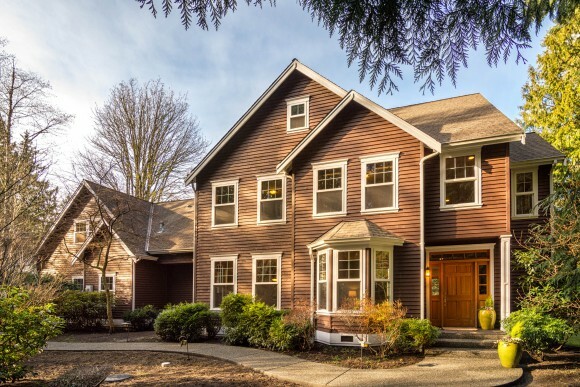 And we wrap up with #1 in the exclusive County Club Neighborhood known here as the “Hamptons of the West.” This home on Country Club Drive is part of the elite County Club of Seattle, a 230 acre community comprised of 18 homes. It is rare to see one of these homes come on the market as they are typically handed down through the generations. This 9 bedroom estate property has been passed down through four generations. It was built in 1914 and designed by architect Carl Gould the same year that he established the Architecture Program at the University of Washington. Gould later went on to design many of the prominent buildings at UW, including the famous Suzzallo Library. 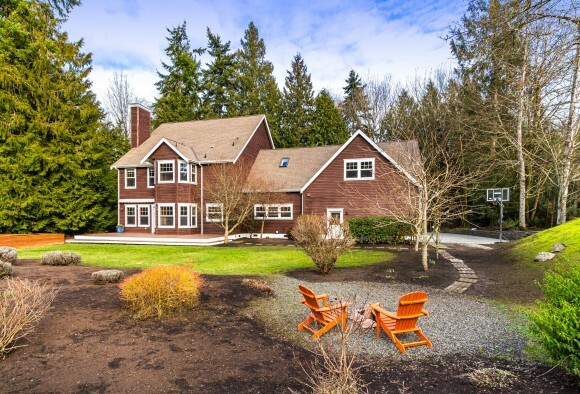 The Seattle Country Club Community boasts a club house, waterfront golf course, barn, pool, dock and a mile of private beachfront. The 7,572 square front home was designed as the ultimate summer home with long hallways lined with waterfront bedrooms and baths – plenty of space for all of your family and friends. Touring this home was indeed a visual and historical feast for the eyes. The stunning living spaces, cozy sitting rooms, masterful woodworking details, butler’s kitchen, built-in wooden phones and unparalleed views of Seattle were not sights I get to see every day. Even with the unique requirements of this purchase, no mortgages allowed and approval of the county club required, this home saw multiple offers and an escalation in asking price. My favorite of the year indeed! Distinctive Hidden Cove Estates home built by Jerry Reese. Excited to share my new listing in the popular Hidden Cove Estates Neighborhood. It is open today, Saturday from 2-4pm and tomorrow, Sunday from 1-4pm. Come by and see me and this fabulous house. Distinctive home built by quality builder Jerry Reese sits high atop a west-facing shy acre in desirable Hidden Cove Estates. Original owners chose a prime lot in the neighborhood. 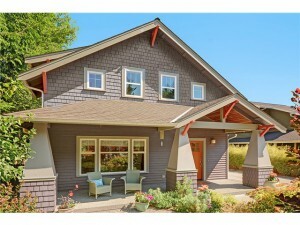 Warm and inviting, with recent custom upgrades including stainless steel appliances and honed granite. The great room spills out to sunny back deck for easy entertaining and overlooks acres of open space. Four bedrooms all upstairs and the oversized 4th bedroom is over garage with a 3/4 bath-excellent for guests. 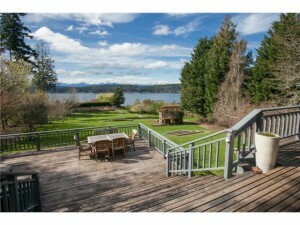 Easy access to schools, HWY 305, and the ferry. All this and a new heat pump too. 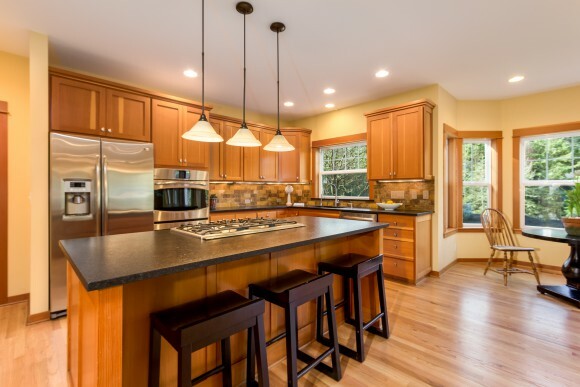 Heart of the home kitchen with updated appliances and honed granite counters. Private .89 acre lot backs to open space.